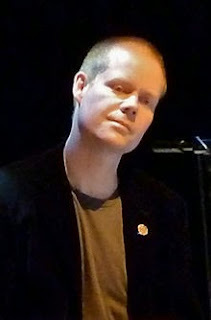 Max Richter's a new kind of post-Modern composer. "Fusion" was a term coined a few decades ago to characterize the marriage of musical styles, rejecting the traditional divisions between classical, pop, jazz, folk, ethnic--in favor of hybrid compositions which were not clearly classifiable into one of those genres. Richter is a contemporary composer who essays a number of different styles, applied to various venues. His works range from straight concert pieces, to movie scores, stage, ballet, and even pop collaborations with small groups. I've listened to a number of his works on YouTube, and though I can't say I like them all, they display a facility which is impressive. Making a living as a composer has never been easy, so musicians like Richter are forced to live by their wits. All that aside, here's beautiful piece of his, considered "minimal" as a result of its modest lyrical range and brevity, entitled Mercy. It could be something that Schumann might have composed, or Fauré, or even Delius, yet it's somehow too "clean" for them. I think of it simply as pure music. It could be the middle section of a sonata for violin and piano, or the lyric for the slow section of a symphony. I'm not sure why, but it suggests to me a kind of elegy, say, for the dead of the Holocaust. A piece as beautiful as this comes directly from the heart. In a dream, I am in an old mansion basement, feverishly scrounging through boxes of old pamphlets, on a table, as other collectors and dealers are doing likewise at my side, when I happen upon an old booklet, bound in limp green leatherette, showing a picture of a bi-plane tilted up in flight. The pilot, his head encased in a form-fitting leather cap, and large goggles, is seen waving from the cockpit towards the viewer. Across the top of the cover, it reads, in darker green, “S O U V E N I R – Paris Air Show 1922.” In the dream, I wake up and go downstairs to the computer to see if there really was a Paris Air Show in 1922, and to my surprise, there was! Later, I “really” wake up and come downstairs to see if there really was a Paris Air Show in 1922, thinking if there really was one, that would be some kind of wonderful coincidence, since air show pamphlets, and aviation generally, aren’t subjects that I've ever dealt in as a book trader. I discover that the Paris Air Show (or “Salon”), the world’s oldest and largest, originally was begun in 1909. There was a Paris Air Show in 1921, but I can’t find a record of one in 1922. 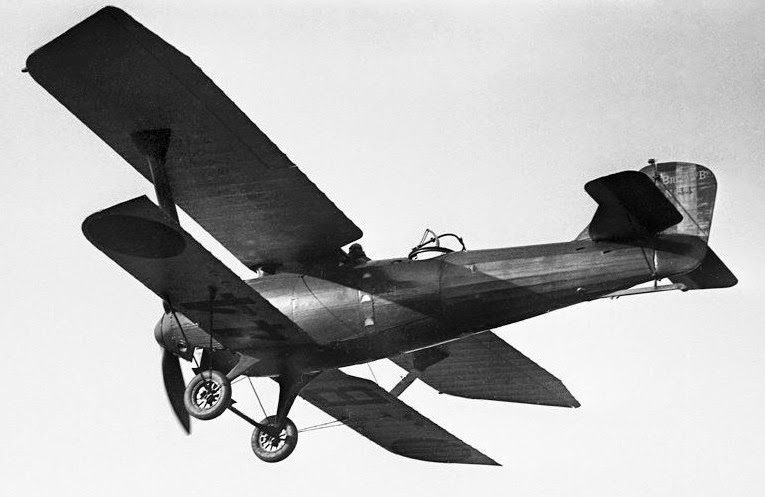 In the seventh (1921) show, a prototype of the so-called French Breguet 19, based on a World War I light bomber, powered by a Bugatti engine, was first shown. A new design of the same craft flew in March 1922, but it doesn’t say where. It was the model for the French Army’s Aéronautique Militaire from September 1923 on. It was used in the Greco-Italian War, in World War II, primarily as a reconnaissance aircraft. It was used by a number of European countries, as well as some in the Western Hemisphere. Did I once see such a booklet, or did I conjure one up in my dream? The obsessive book scout in me is perfectly capable of inventing such an object. I go back to bed, hoping to return to the scene I have created in my imagination. Perhaps I am fantasizing that I can bring the imaginary pamphlet back from the dreamworld into the real one. Or perhaps I am simply enjoying the experience of having made something up that has a probable counterpart in the real world. Thus, my writing this account--a prosepoem of the dream--is a partial realization of that desire. My unconscious is sending me a message, whose secret meaning I may never be able to decode. This vicarious desire—expressed as a vague longing in the murky semi-consciousness between sleeping and waking--that my experience in the imagination might actually have happened--is like a dream come true.